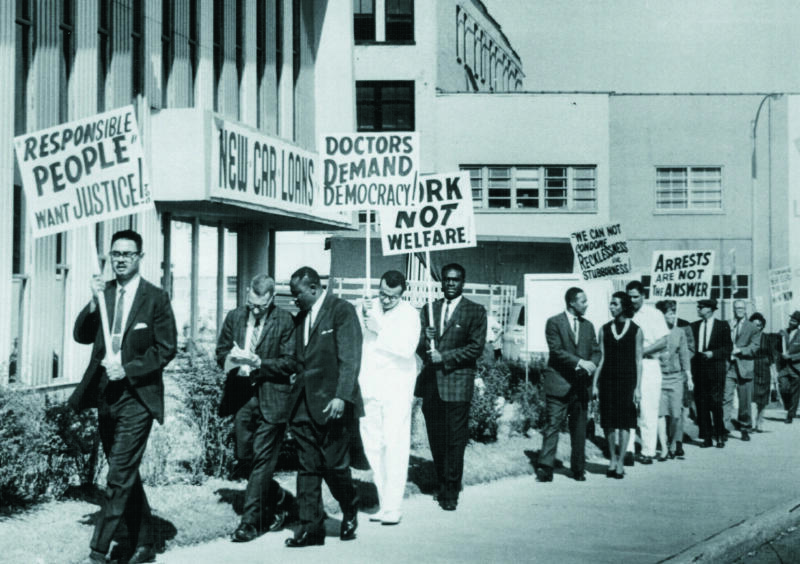 A 1963 photo of the Congress of Racial Equality demonstrating at the Jefferson Bank & Trust Company over the issue of jobs. The author of a new book called “African American St. Louis” hopes images of the past will help people better understand the issues of today. 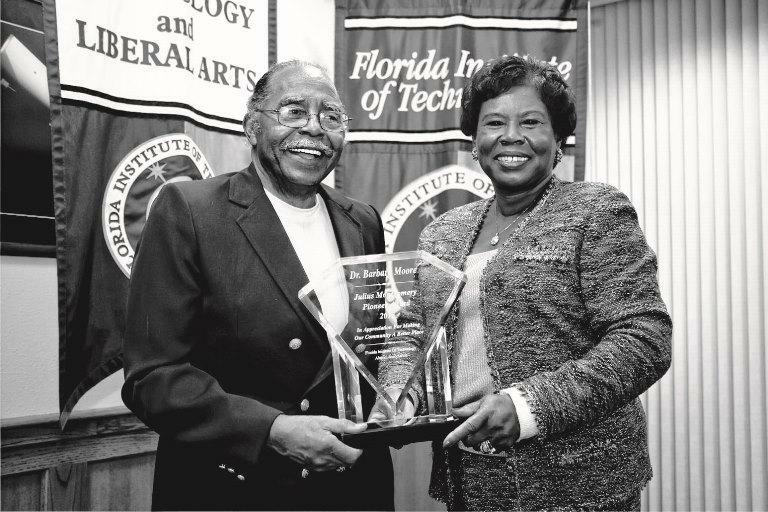 Lead author and educator John Wright Sr. grew up in St. Louis in the 1940s and '50s. His book, written in collaboration with his sons John Wright Jr. and Curtis Wright Sr., contains 170 color and black-and-white photos from the 1960s through the present. 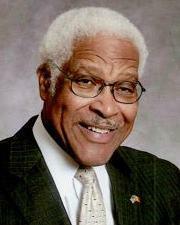 John Wright Sr. has published 17 books about St. Louis and Missouri. 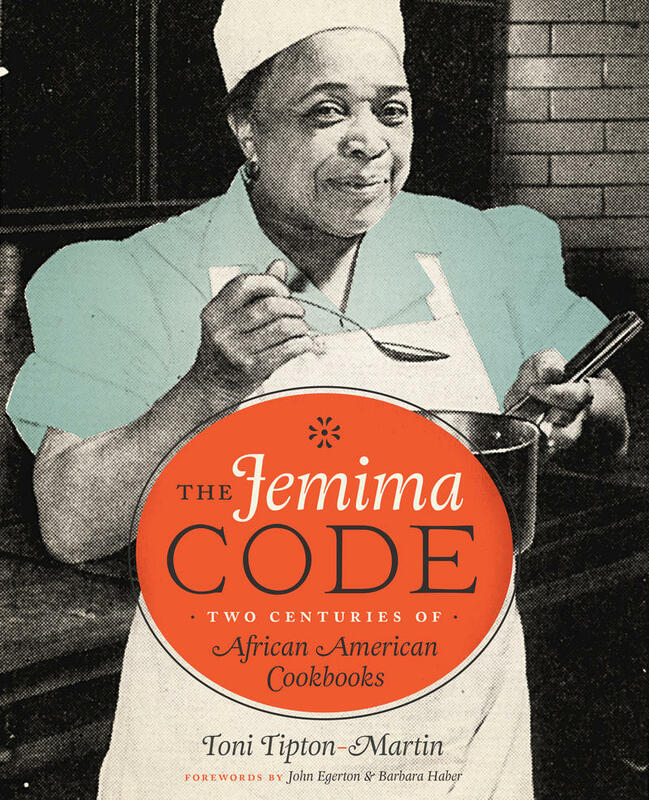 Wright said many of the pictures are unique images you won’t see in museums, libraries, newspapers or online. 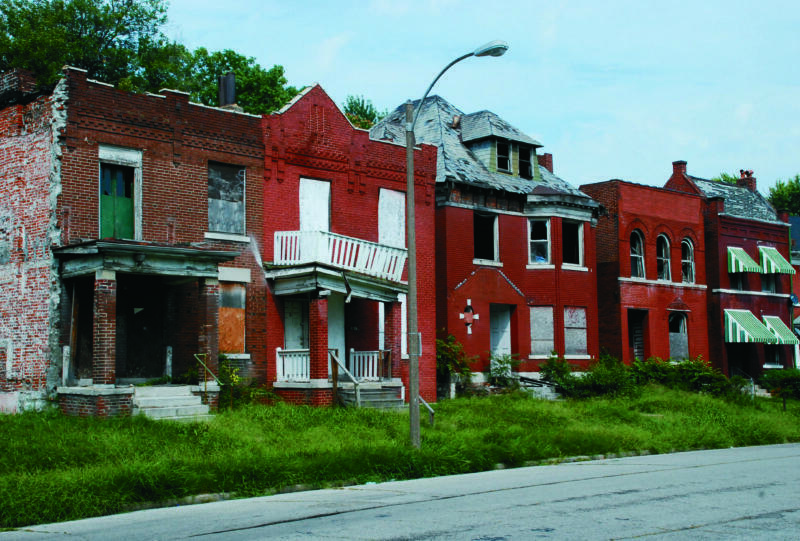 “African American St. Louis” explores a half-dozen topics, including abstract ideas such as "challenges" and "culture" and more concrete subjects, including housing and commerce. Wright, 76, remembers when Taylor Avenue and what is now Martin Luther King Drive in north city boasted rows of shops and other businesses. “As a result of that, the money stayed in the community several times before it left,” Wright said. But now? 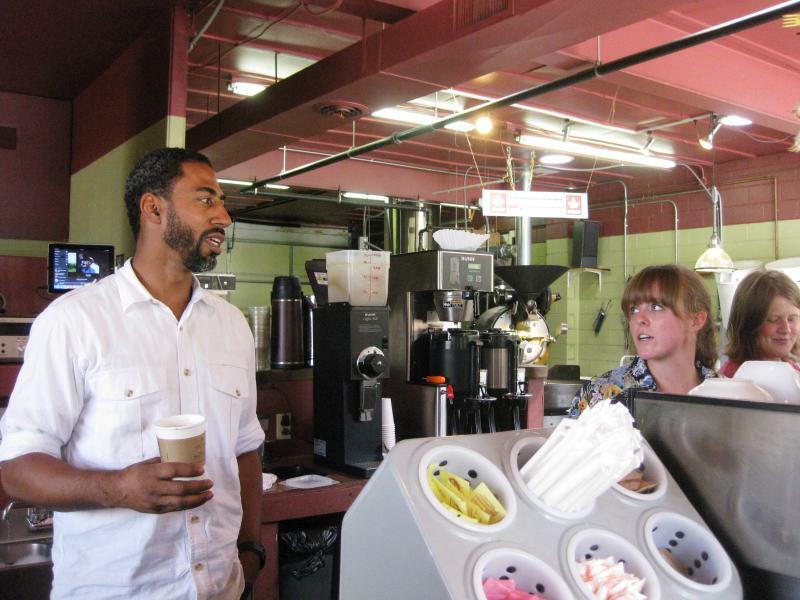 “You have a neighborhood where there are no stores,” he said. “The roof is falling down, half the building’s gone,” he said. Wright said these decayed areas are part of an environment that can ultimately result in oppression and even tragedy. 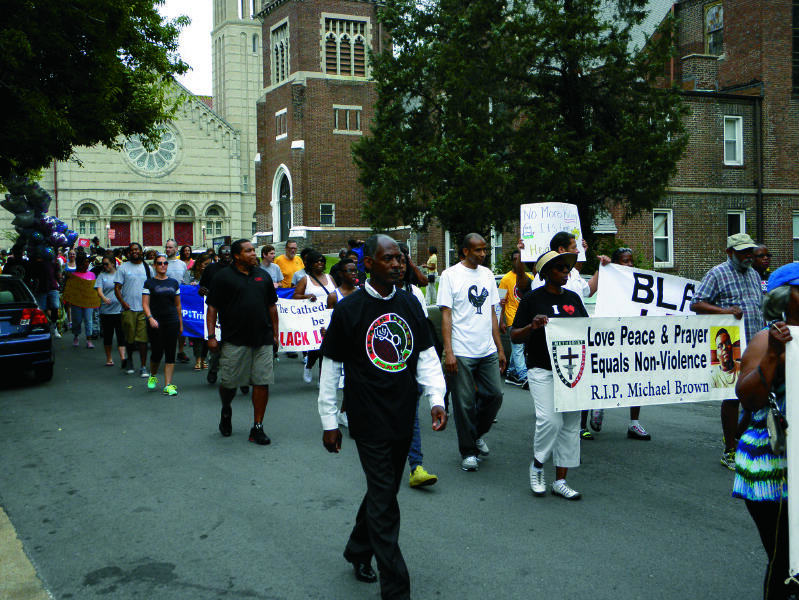 “These are the things that spark the Michael Brown incidents,” Wright said. 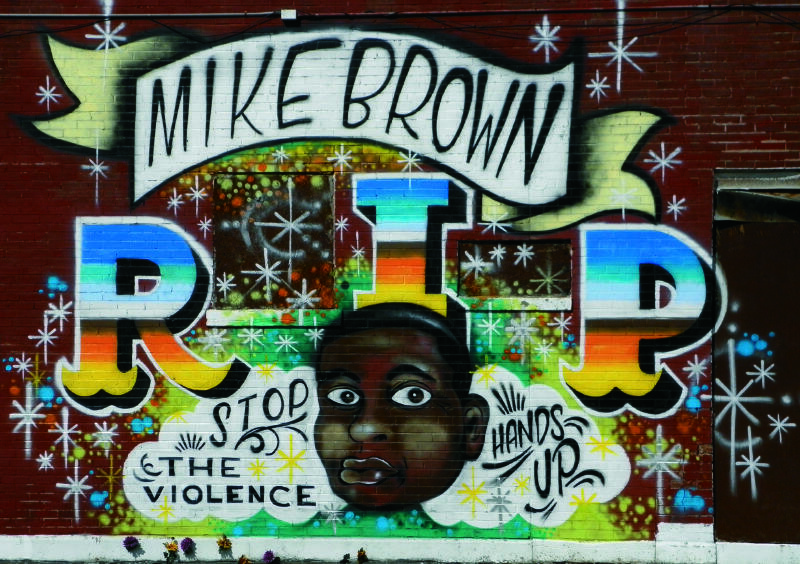 This mural memorializes Michael Brown, whose death sparked the Black Lives Matter movement. One of many protests that sprung up following the death of Michael Brown and the grand jury's decision not to indict Ferguson police officer Darren Wilson. Author John Wright Sr. said justice is not color-blind in St. Louis. 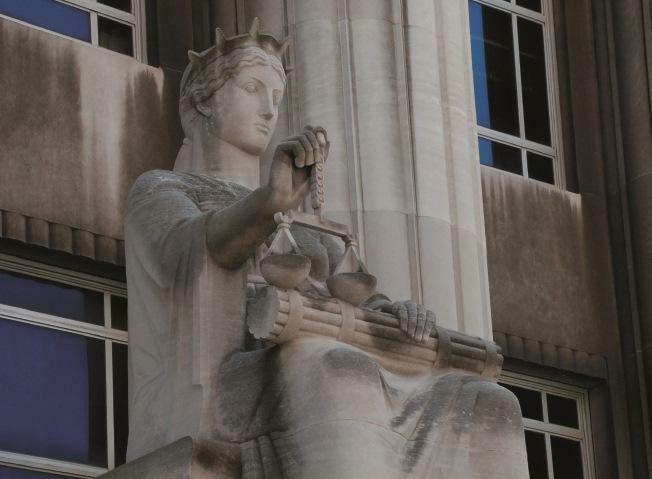 A photo adjacent to the protest image features a statue of “Justice” at the U.S. Court and Custom House at Tucker and Market Streets. Wright said while many such figures around the country are blindfolded, this one is not. 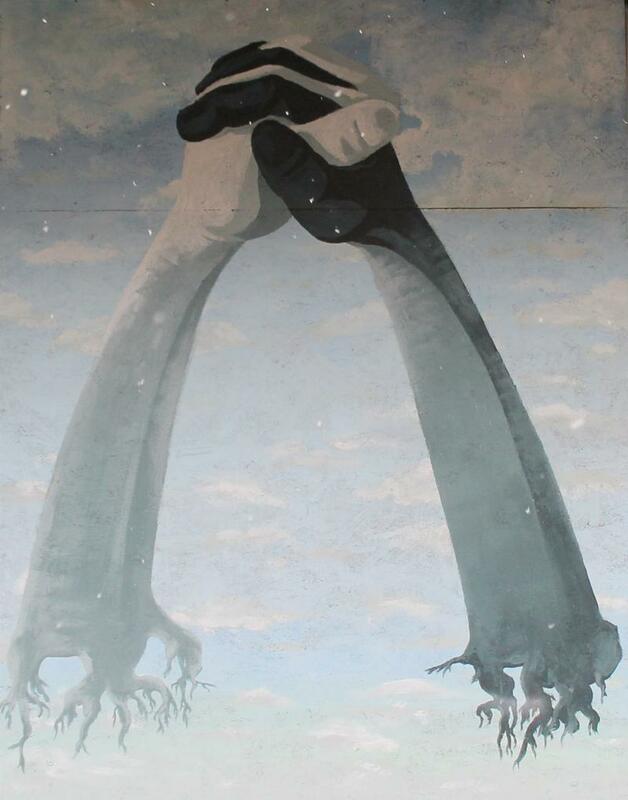 But not all the images are grim or even demonstrate the need for change. Many depict the progress and pride in St. Louis’ African-American community, including photos of black political leaders, business owners and everyday citizens. St. Louis' African Arts Festival takes place May 23-25 this year. 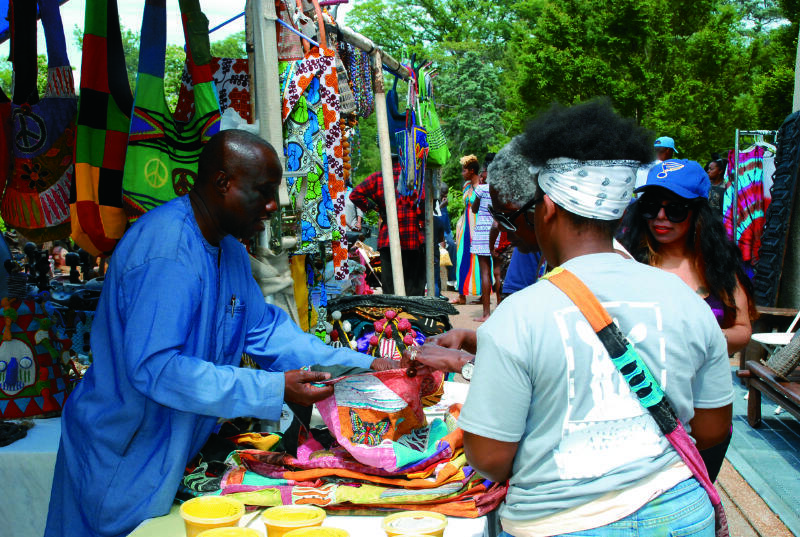 One picture shows the St. Louis African Arts Festival, held every Memorial Day weekend in Forest Park. The festival celebrating African culture draws thousands of people every year. 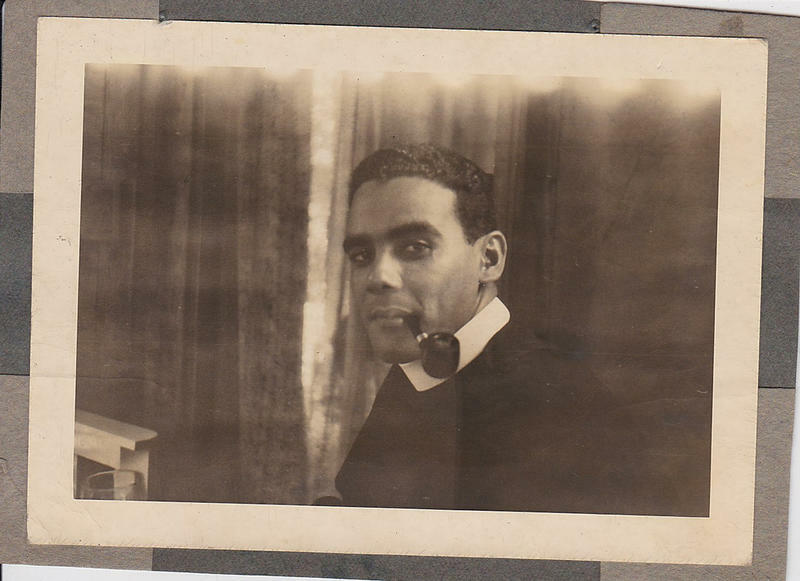 Another is an atypical photo of a young African-American man. 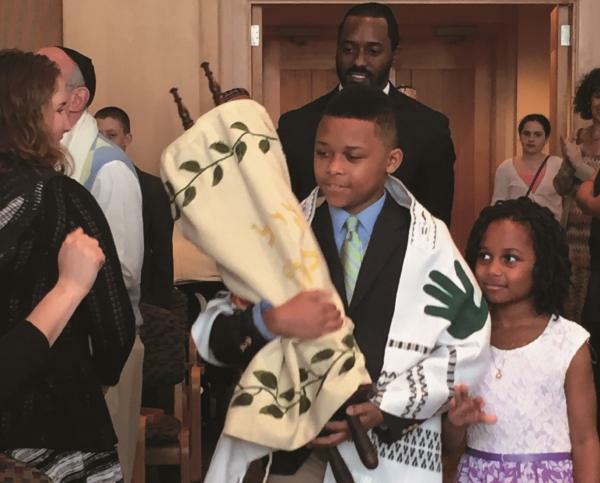 An African-American boy's bar mitzvah at Central Reform Congregation. He's celebrating his bar mitzvah at Central Reform Congregation in the Central West End. The event marks his coming of age and devotion to Jewish laws and traditions. 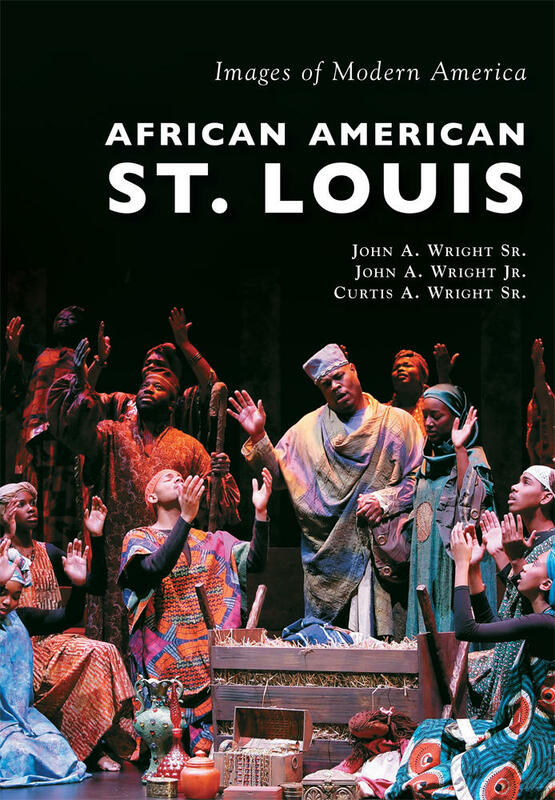 The cover of African American St. Louis is an image from the Black Rep's Black Nativity production. Wright will sign copies of his book Tuesday night at Left Bank Books in the Central West End. He's written more than a dozen books about St. Louis and Missouri. His next project examines St. Louis' African-American history beginning with the arrival of the first Africans aboard slave ships. 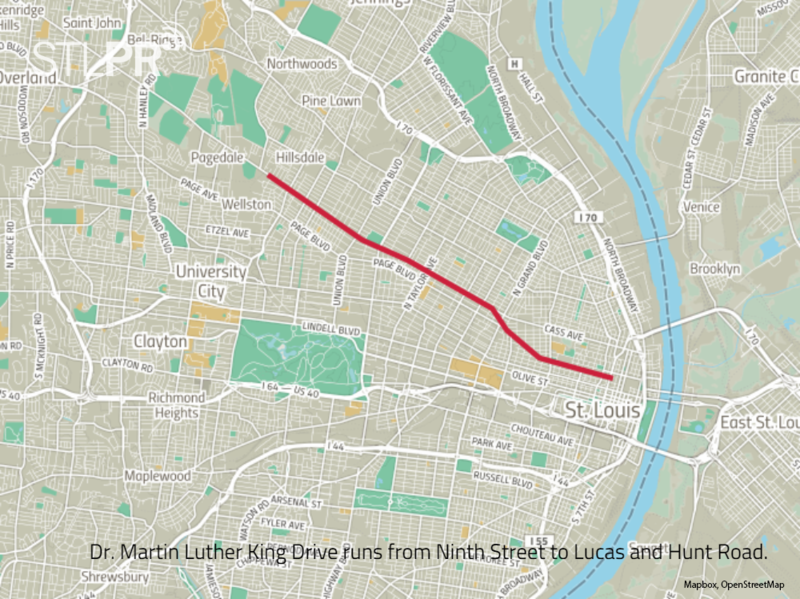 This is the first of three reports looking at the history, present and future of Martin Luther King Drive. Today is the birthday of Dr. Martin Luther King Jr. Had he lived, he’d be 87 years old. About four years after the shooting death of King in Memphis in 1968, two contiguous north St. Louis streets were renamed in his honor and his memory. This renaming followed a by-then well-established practice in the United States — one that eventually spread abroad. St. Louis wasn’t the first or the last to join this tradition. The first street named for King was South Park Way in Chicago; that memorial was initiated about four months after his death. After the death of Michael Brown, artists—of the St. Louis region and nationwide—quickly began examining and commemorating their confusion and pain. St. Louis Public Radio arts reporters Nancy Fowler and Willis Ryder Arnold joined “St. Louis on the Air” to talk about artists’ responses to Ferguson and the links between art and activism that have helped drive the movement.